Centennial Park, Route 108 Ellicott City, MD 21043. Good to Go Market’s mini marts offer a wide variety of menu items from local favorites such as Berger cookies and Zeke’s Coffee to well-known Subway treats. Hickory Ridge Sunoco’s location offers automotive services while Columbia Crossing and Long Gate offer car wash services. 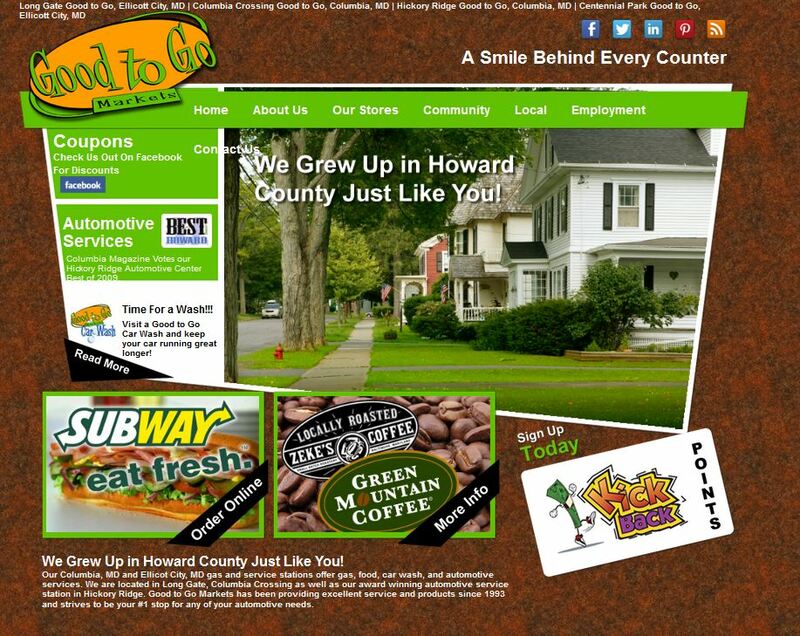 Good to Go Markets also offers a rewards program called Kickback Points where customers can earn points towards fuel discounts. With this program, Good to Go Markets will count your coffee purchases, fountain purchases and your Good to Go Markets Car Wash purchases and give you a free one every time you buy six. A Kickback Rewards card also gives you a point for every dollar spent in the store and every gallon purchased at the pump. Points can be spent like cash so you can’t go wrong! View the live site now for more information at http://www.goodtogomarkets.com.